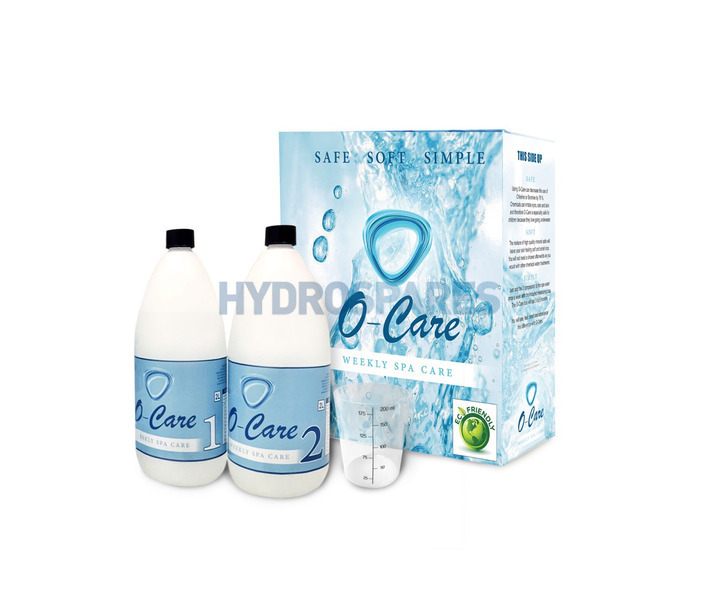 Safe: Using O-Care can reduce the amount of Chlorine or Bromine used by 78%. Chemicals can irritate eyes, ears and skin, so O-Care is especially safe for children who love going underwater. 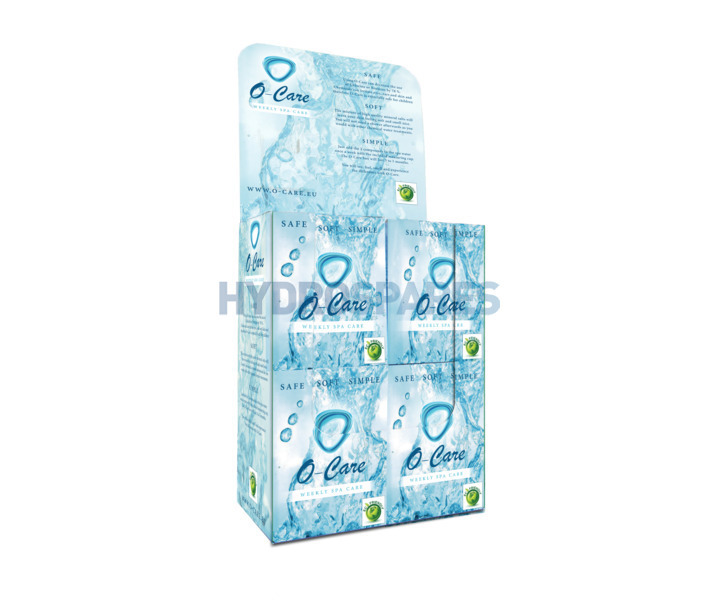 Soft: The mixture of high quality mineral salts will leave your skin feeling soft and odorless. 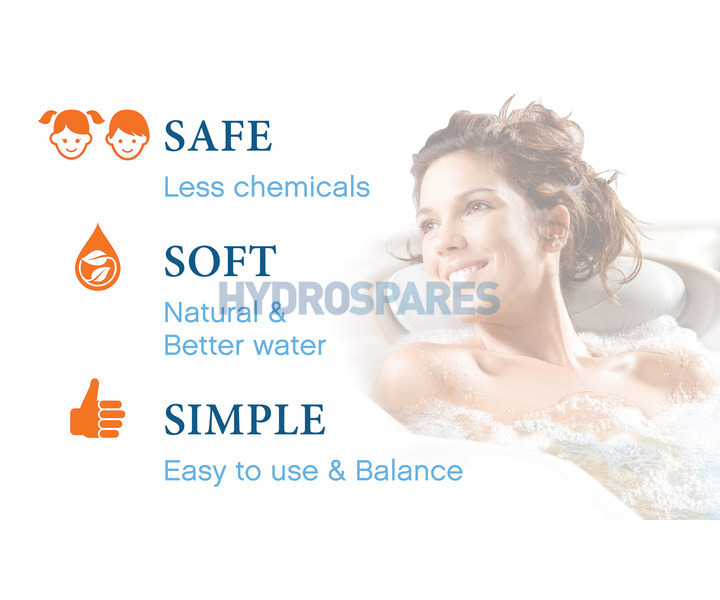 You will not need to shower after bathing, which is important when using chemical water treatments alone. Simple:Just add the 2 compounds to the spa water once a week using the measuring cup included. The O-Care box will last 3 to 5 months.